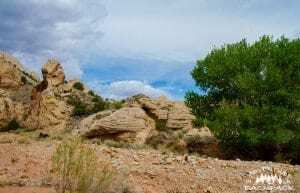 After leaving Moab and finding a great spot to boondock right outside of Capitol Reef National Park, we set out to find some hiking in Capitol Reef National Park. We visited with the rangers at the information center inside the National Park, and they advised us to several great trails that we would enjoy hiking. 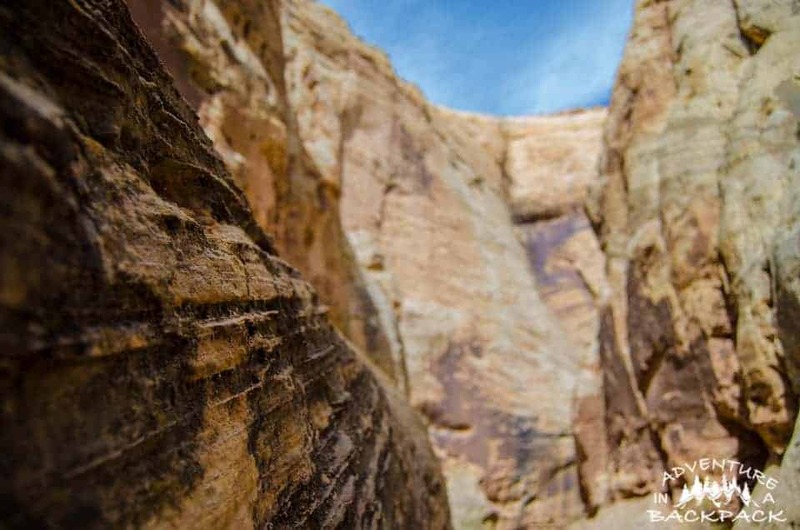 Our original plan was to hike one of the slot canyons in Capitol Reef National Park. After visiting with the ranger for a while, we determined that Cottonwood Gulch would be a good contender for our first slot canyon. As luck would have it, the weather wasn’t predicting great conditions for canyoneering. So, Plan B it was! Plan B was to hike a canyon that it much wider and would not be a danger for flash flooding; enter, Grand Wash. It was just over 4 miles roundtrip, so we also planned for Capitol Gulch if weather allowed after. Weather did not allow for the second hike, but Grand Wash was still a great hike for us. 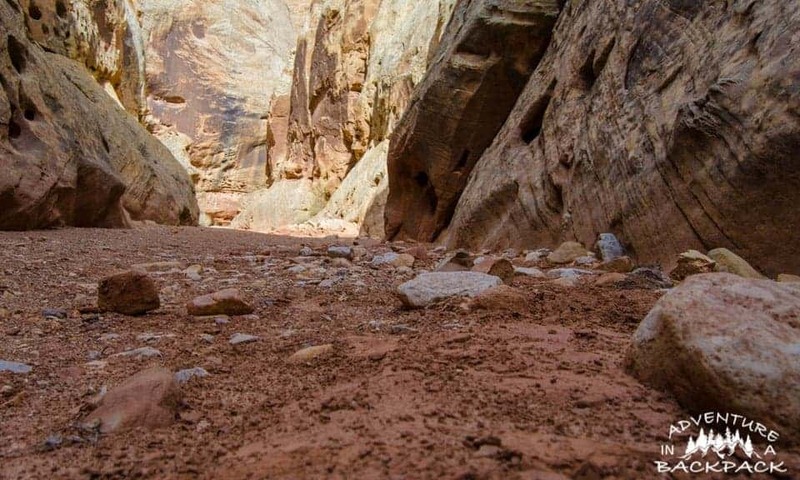 Grand Wash is a pretty easy little hike and is great for anyone wanting some hiking in Capitol Reef National Park. It’s a 2.2 mile out-and-back, so a total of about 4.4 miles roundtrip. There are parking areas on both ends of the trail, but it is recommended to hike from west to east. The hike is rated as “easy,” and we would agree with that rating. Although there is a listed 100-ish foot of elevation gain on the hike, we could not determine which way was uphill; so apparently it wasn’t much of an elevation change over the 2.2 miles! My one and only negative about this trail is that it ends in a parking lot and doesn’t have that “wow” factor as you reach the end of the trail. However, the scenery on the rest of the hike was spectacular, though, so it made up for the lack of a grand finale. The rock formations in the canyon were so awesome to see! These rock formations in the Grand Wash formed during the Jurassic and Triassic Periods, so they are millions of years old! That’s crazy to think about! Overall, the Grand Wash Trail was a great trail and good for anyone looking for easy hiking in Capitol Reef. We enjoyed the trail, and it was definitely something that most people could handle. The scenery is spectacular and it isn’t too strenuous of a hike, even for 4.4 miles roundtrip. It was a great Plan B, and we were glad that we stuck to Plan B when the clouds started rolling in! We hope you enjoyed this post and if you are ever in the area, check out some hiking in Capitol Reef! Be sure to subscribe below for the most up to date posts. Until next time, Live Vicariously!